Importer: Detour Corp., doing business as Version-X, of Studio City, Calif. Distributor: Metropolis Beauty Inc., of Los Angeles, Calif. Hazard: These electric hair dryers are not equipped with an immersion protection plug to prevent electrocution if the hair dryer falls into water. Electric shock protection devices are required by industry standards for all electric hand-held hair dryers. If the hair dryer falls into water during use and is not equipped with this safety device, it can pose a shock and/or an electrocution hazard to consumers. 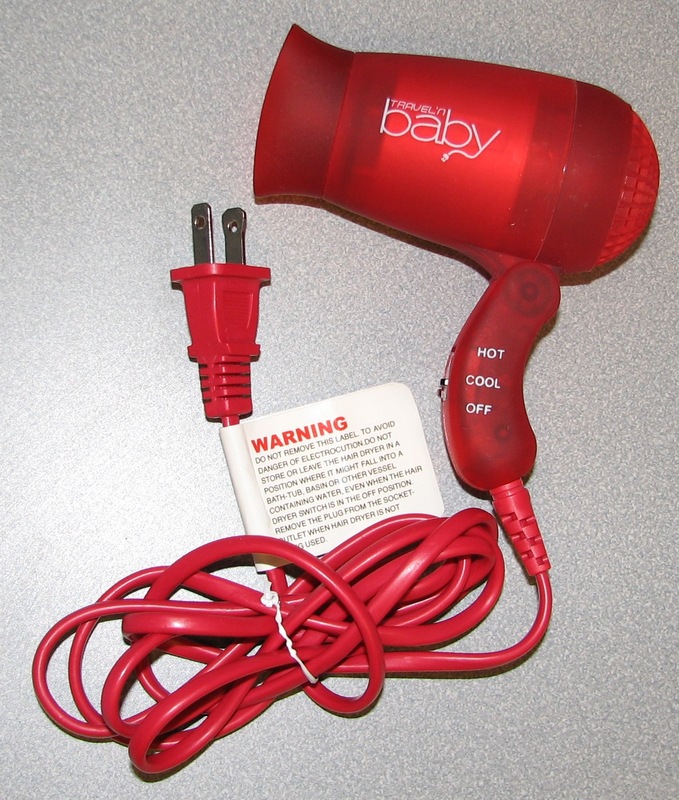 Description: The recalled hair dryers are made of plastic and are red, blue or green. The hair dryer’s handle folds up. The words “Travel’N Baby” are printed on one side of the hair dryer. Sold by: Independent beauty supply stores and beauty salons nationwide and online at www.metropolisbeauty.com from January 2004 through January 2005 for about $20. Remedy: Consumers should stop using these hair dryers immediately and contact Version-X at (800) 871-6824 between 9 a.m. and 5 p.m. PT Monday through Friday or visit the recall Web site at www.metropolisbeauty.com for a replacement hair dryer equipped with an immersion protection plug. See this recall on CPSC’s web site.